A few weeks ago, we whet your appetite with a first look at all the new content: well, get ready for a nine-course meal of previews, becausethe Path of Glory update is going live tonight. The first time you log on after maintenance tonight, listen closely. You hear that? You say it sounds like thunder, I say it’s the drums of war. 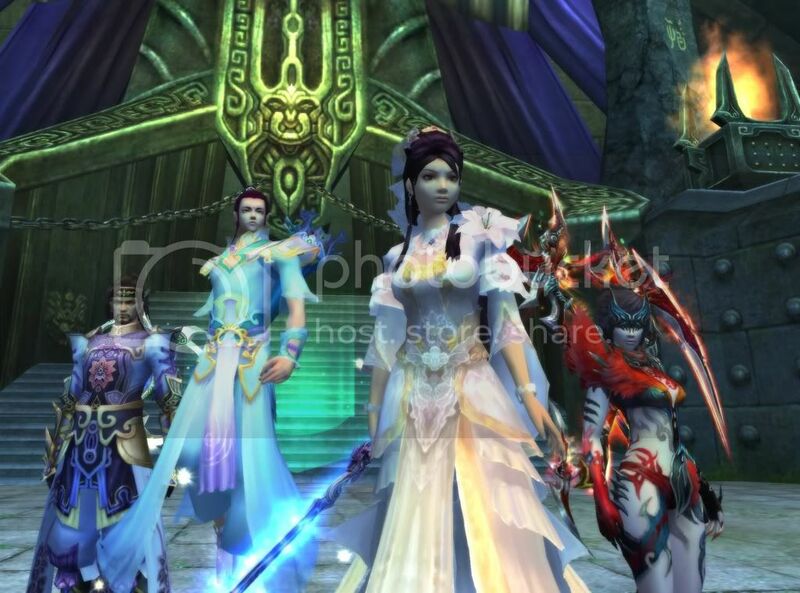 The Moontop Hollow instance is the biggest voidland we’ve released, with room for up to fifteen players over Level 20. The Beast Lord’s minions are attacking Mount Jadeon itself, and until the Regenesis Array charges to blow them away, you’ll have to protect it against eighteen waves of monsters. Not hard enough? 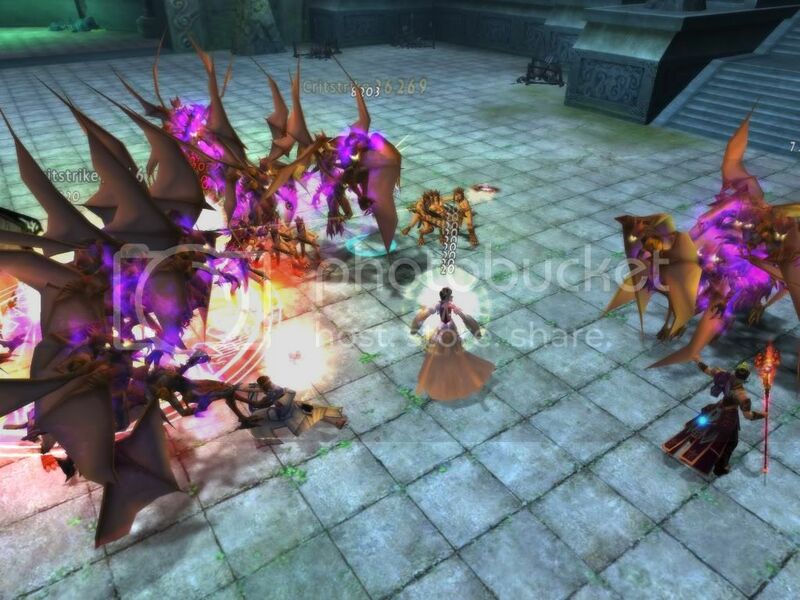 You’ll need to kill a series of bosses, including the Beast lord himself at the end. If that didn’t catch your attention, then take a look at the prizes for beating it: 500 Taichi Pills, 2000 Affinity Beads, 200 Chroma Beads, and two Ancient coins, per person. Maybe you can’t get enough friends together to try the Moontop Hollow, though. Next time they’re online, you’ll have the last laugh: you’ve started with the new Gem Embedding feature and boosted your stats so fast that everyone else will need a barf bag. 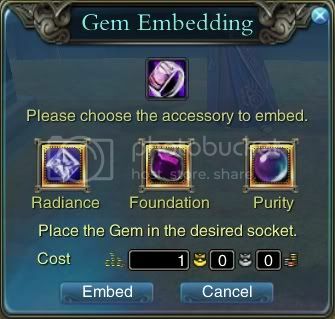 Bam, all your accessories have three sockets for stat-boosting gems. The bonus is too low? Bam, you’ve got Celesphere Sand to level up your gems. You think the stats are too low, well, you’ve got three sockets to play with. Don’t have a boring necklace; don’t have a boring ring. 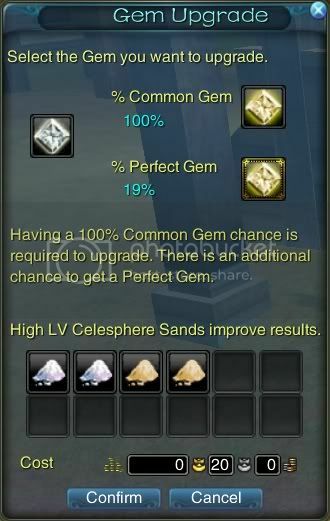 “But how can I get Celesphere Sand and gems?” Graba daily quest or finish plot quests. At the end of every plot chapter, you’ll get a gem and some Celesphere Sand. It’s that simple, but it doesn’t stop there: there’s a whole ’nother layer of stats you can get from gems. If you want more information, hightail it into the game or check out more sneak peeks at our site.